The province of Cadiz, in South West of Spain, is an extremely diverse region which has a lot to offer to those having a thirst for culture, nature and culinary discoveries. Its location between the Atlantic and the Mediterranean, its fascinating history, heterogeneous geography and proximity to Africa have shaped very different towns, landscapes, traditions and lifestyles throughout its extension. This five day tour has been designed to show the wonders of this rather undiscovered part of Spain where unspoilt coast, millenary heritage, unique colonial architecture, beautiful food and wine and sleepy quaint villages fortunately remain eclipsed by the main tourist areas and attractions of Andalusia. It’s an ideal tour for those wishing to keep a regional approach by having a comfortable and strategically located base from where to take a series of different day trips, to discover the wonders of Cadiz. 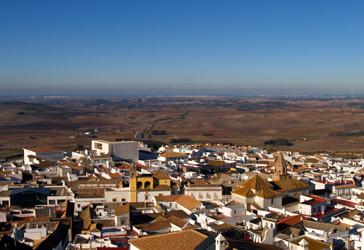 Our base of choice for this tour has been the ancient hilltop town of Medina Sidonia. Known as “The Balcony of Cadiz”, it offers gorgeous long distance views of the whole province and a short and picturesque journey to our favorite destinations in the area. Upon arrival, you’ll be taken to your accommodation and later on an introductory tour of your base-town. Then every morning, your personal tour guide and driver will pick you up to take you on a different discovery journey offering you great opportunities to enjoy the culture, gastronomy and nature of the area. You’ll see the magnificence of the colonial town of Cadiz, learn the secrets of Sherry wine and sample its many varieties in Jerez. We will take you to the quaint little village of Vejer de la Frontera and to see the most stunning secret beaches in the natural parks of Trafalgar and the strait of Gibraltar. You’ll also get to see Africa from the cute little town of Tarifa, the Southernmost point of continental Europe. 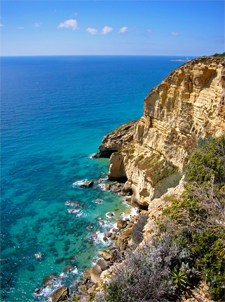 After this coastal exploration, we will take you to the mountains to see the gorgeous whitewashed towns of Arcos de la Frontera and Grazalema where we will complete a programme designed to unveil and get to know the wonders and diversity of a territory that remains local and undiscovered in the wild South West of Spain. This tour can accommodate a group of between 2 and 8 people. It includes private airport transfers from and to Malaga, Seville, Granada or Jerez airports, five nights accommodation in a boutique B&B or in a self catering house (suitable for a family or group of 8) and four different day trips from your accommodation with your own personal tour guide and driver.